Honed or split. Vibrant flooring that utilizes nature's variation without feeling messy. 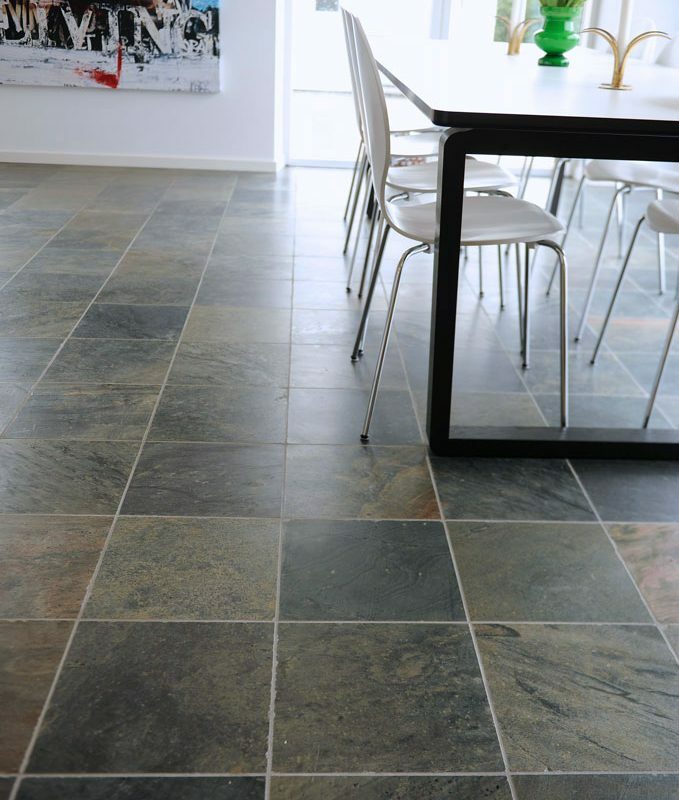 Stylish slate floors come from manufacturers in India we worked with in 15 years. We have actually become part of their development. We are proud that they are now environmentally certified and have programs to help the people in the various villages where the slate floor is broken, to get education and good housing. For each square meter of slate plates we buy, any Indian family gets better opportunities for education and good housing. Such a stone floor feels good to go on. 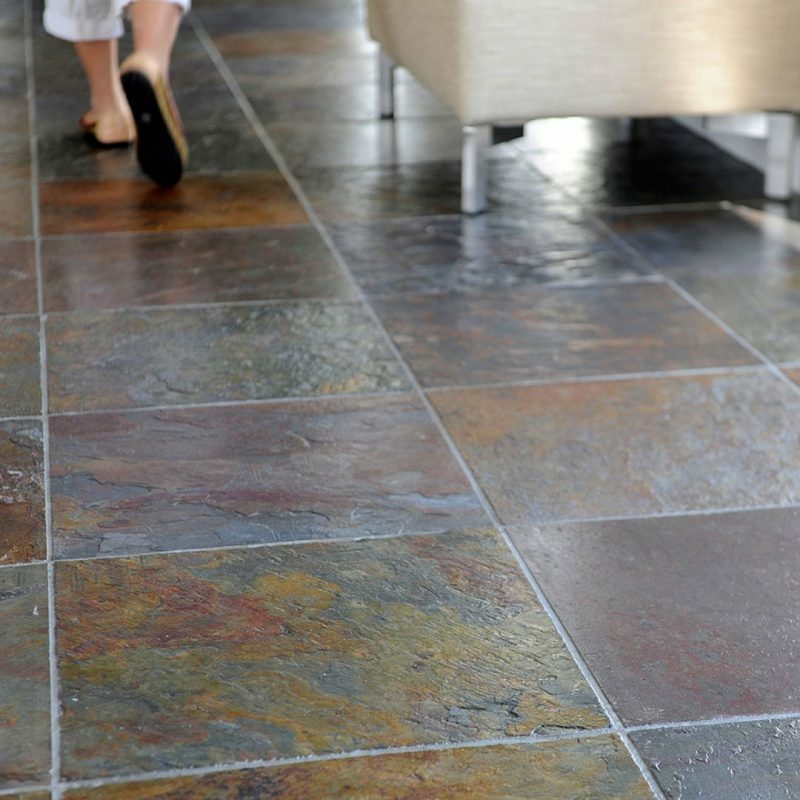 Slate is a very durable stone and is used in all different environments. The cobblestones are naturally layered, and this is used when splitting it into stone floors. Autumn Sea is a slate plate that is coarser in its structure and it has its little sister Dimma, which is the grounded variant of the same slate plate. They are nice to use together as they have the same color scale but different surface. Autumn Sea and Mud can also be used outdoors. 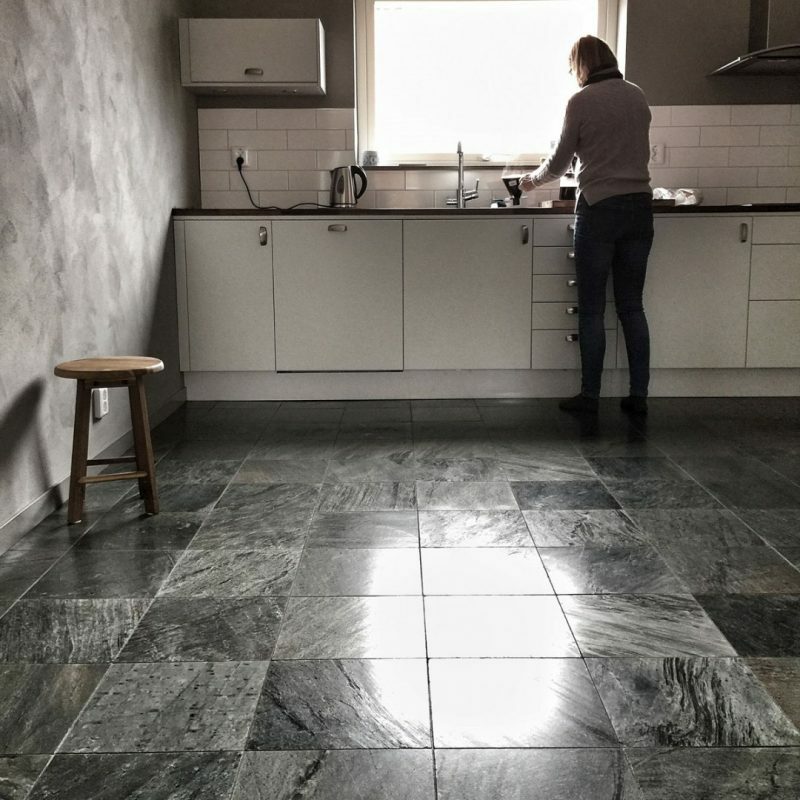 Twilight is a slate floor with more color touches. This color ink comes from different oxides found in the slate plate. Twilight is a smoother slate floor.